This is the latest installment of our Bulldog of Butler series, which is a short interview with someone to get to know more about them. We hope to highlight more and more people on this campus. Go to our website to read more stories about your fellow Dawgs. Darius Hickman, a first-year dance performance major from Florida, was recently on season 14 of “So You Think You Can Dance.” The first episode of the season, which included his audition solo, aired on June 12 of this year. Out of thousands of people who auditioned, he made it to the top 100 dancers. 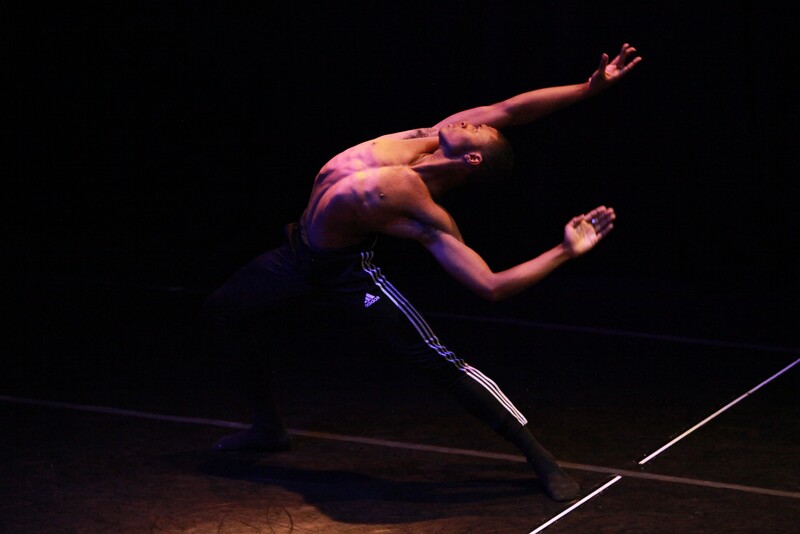 Now at Butler, he hopes to join a contemporary ballet company after graduating. The Butler Collegian: How and when did you first become interested in dancing? Darius Hickman: I started dancing when I was 13 years old and in the sixth grade, which was rough. It started off really hard and I had a lot of catching up to do because I started a little late compared to most dancers. But after a while I started learning more and I really liked it, so I started to work harder in order to be on the same level as anyone else. I spent my time over the summers stretching and learning as much as I could, so when I came back the next year I was a little more prepared for the year. That’s how it all started. TBC: Why did you want to come to Butler? DH: I was actually recruited, in a way. I went to a college fair down in Boca Raton, Florida, and there were many different colleges there with dance programs. This was a point in my life where I wasn’t really sure I wanted to go to college, because I wanted to just dance professionally right after graduation. I was set on that, but my mom convinced me that I needed to go to school just in case I get injured or anything happened. I needed to be prepared and have a degree to do other things. So I started looking into schools, and while I was at the college fair in Boca Raton, I took a dance class with Marek Cholewa, who is a ballet teacher at Butler, and I loved his class. I loved everything about it. He liked me and told me about the school and that I should audition, so I did. And now I’m here. It was the best decision. TBC: What do you like about Butler so far? DH: The one thing I love most is how nice everyone is. And I’m going to be completely honest, I was nervous. You know, I’m an African-American guy from Florida coming to Indiana, and I wasn’t sure how it would be. I’m very open-minded and ready to explore anything, but I was also really nervous. It turned out great, though. Coming here and meeting all these people has made me feel so welcome. I couldn’t have picked a better school. The people here are amazing. TBC: What was your experience on “So You Think You Can Dance” like? DH: “So You Think You Can Dance” was a crazy experience. I had never thought about doing the show, really. I had always watched the show, and one of my friends won the show, so I was always familiar with it but I never considered it for myself. Then I heard that my friend was auditioning, so I just decided to give it a try. I applied twice to LA and twice to New York. I had to submit a video audition, and from there they would pick you to come audition in person. So I sent a total of four audition videos to two cities and I didn’t get anything. I was thinking, you know, I can’t do it anymore. My shot is over. But then I read on their website, because I was very determined, that you could do an open call audition in Los Angeles were you just show up and wait in line. It was very hard to convince my mom, because I had to fly to LA and just hope for the best. I waited in line for six hours, went inside, waited in line for another four hours, and then finally went to dance. I made it past the producer round, and I was the only one in my group to make it. Then I made it in front of the judges, Nigel [Lythgoe], Mary [Murphy], and Vanessa Hudgens, so that was incredible. I got cut after I went to The Academy, the next callback round. So I made it past the judges round, made it to The Academy, did that for a few days and then I got cut. But, I was not sad at all about it, because I made it really far. Out of thousands of people, I made it to the top 100. I was really proud of myself for that. I met a lot of cool people who are on the show now, and became really good friends with them. I was on the first episode and on four other episodes throughout the summer, I believe. DH: My favorite part would have to be the support. Although it’s a big, world-renowned competition, everyone was very supportive. Everyone was very good, that’s for sure, but they didn’t let their egos take over. And it didn’t feel like a competition, especially when I was around those people. It was fun. It wasn’t stressful or hard necessarily, it was fun. That’s why I couldn’t be more proud of myself, even though I was cut. I just had such a great time. TBC: What did you learn from that experience? DH: I learned so much about myself, and that I’m not really TV ready. Personally, I just don’t see my future being on TV. I just love performing onstage and in front of a traditional audience. I don’t like the cameras and everything as much. I think that was a good lesson for me to learn for my future. TBC: When it comes to your future, what are your plans? What kind of dance do you see yourself doing? DH: I have been conflicted about this for a while. When I started dancing, I wanted to do more contemporary dance because I felt like I was better at that. In high school, I still was on that path of contemporary dancing, but I also really started enjoying ballet more. By the end of high school I was so confused, and I didn’t know what to do. I ended up deciding that I’m just going to do both: contemporary ballet. I’m hoping to join a contemporary ballet company and pursue that. For a long time I was told, “You should do modern because you don’t have a ballet body,” and other hurtful things. But, I’m just going to work toward what I want to do and prove them wrong.